Mesut Özil wearing a mysterious blackout boot: New Predator? After having been faithful to Nike since 2008, Mesut Özil made the change to Adidas, officially just a few weeks ago  which made the end to a rather special case, where Özil had been wearing Adidas boots while he was still on contract with the Americans  a case that resulted in Özil getting dragged to court and sentenced to play in either Nike or blackout boots for at least six months. And so the German did, sticking mostly to his Vapor VIII Retro/Total Orange/Challenge Red, which he only said goodbye to towards the end of last season as he switched to the Adidas Predator LZ II. In the middle of July, Adidas could finally reveal their new guy, and with the text Özil is all in he was presented together with the picture of a Predator LZ. Yesterday, the saga of Özil and his boots took a new and highly interesting turn, as the German was spotted wearing a pair of blacked-out boots at the Real Madrid training session yesterday. That is already rather interesting, as top players in blackout boots is often synonymous with testing of future boot models. 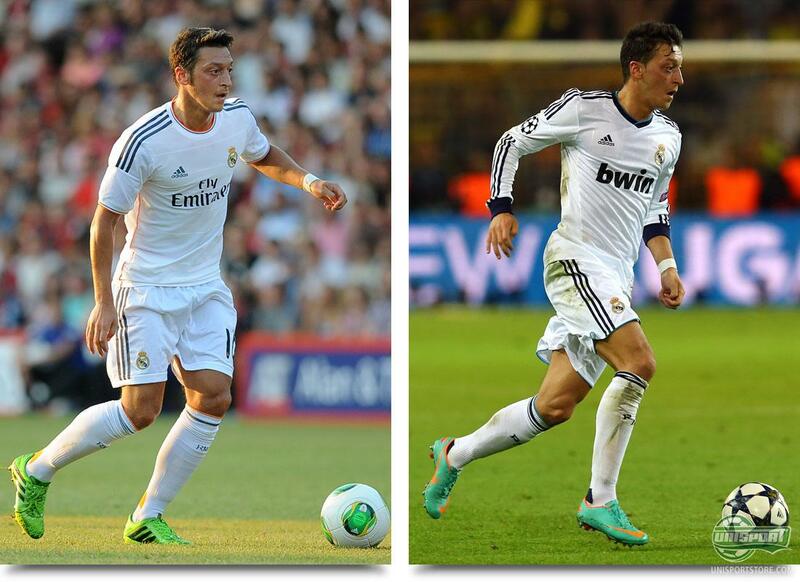 And there is also reason to believe that Özil is testing a prototype of an upcoming Adidas boot. When we took a closer look at the boot we almost fell of the chair. Not only does the blackout boot not look like a Predator as we know it, the logo in the middle of the left sole looks very much like a Puma logo. A switch like that would, although, be no less than a huge sensation  and we still believe that we are dealing with an Adidas boot. If we take a look at the stud configuration, the triangular studs look very much like the Traxion studs on the sprintframe 2.0 soleplate, and especially the shape of the studs point in the direction of an Adidas boot. There is something missing though, as there is no room for the miCoach under the sole  but it could just be an early prototype, that Adidas may not have added all the elements to yet. In addition, Özils right boot looks to have a textured rubber band going down the side of the boot  something we have not seen on other boots at this point. The closest we can get with a current boot is probably the Nitrocharge 1.0  but we think Özil will stay in the predator. If we look away from the little Puma-like logo under Özils sole, it looks a lot like a new Adidas boot  but what Özil is testing exactly, only time will tell  and we will surely know more in the future. One thing is however certain  If Özils boots turn out to be from Puma, then we have not heard the last of this case. What do you think of Mesut Özils switch to Adidas and Predator LZ  and what do you think of the mysterious blackout boot on the feet of the German? 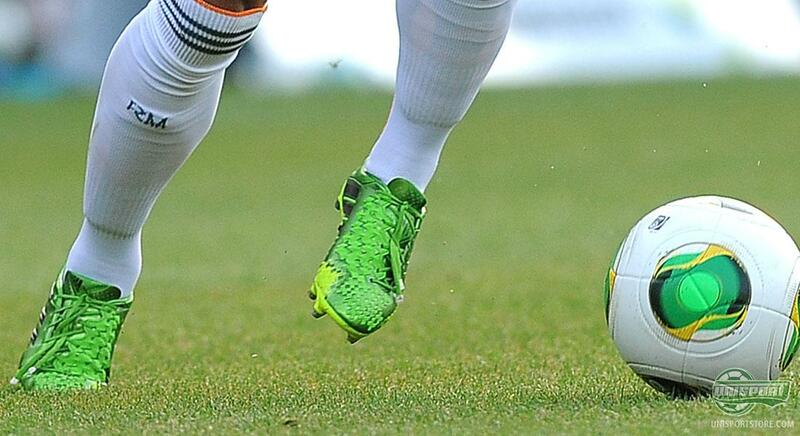 Is it a new Predator, a brand new Adidas silo  or is there huge sensation with a Puma boot happening? Feel free to share your thoughts with us, either here or on Facebook and Twitter.